Shipped and arrived super fast! 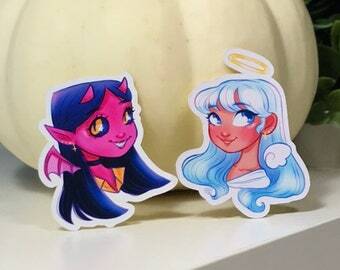 Thank you, I love these stickers! I love going to craft fairs, here's one of my set ups! My workspace is my favorite place to be! Aspen is a 22 year old artist from Mapleville, Rhode Island! She loves making stickers and has a passion for drawing and painting, that’s all she wants to do!